The Chakras are an ancient wisdom that explains the body�s energy field. When Chakras are aligned and in balance, purest wellbeing is experienced. By working closely with these cards you will experience a deep sense of self-awareness, empowerment and healing. 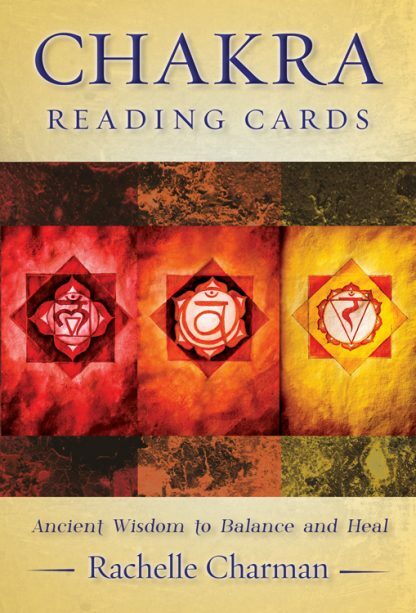 Chakra Reading Cards brings a world of guidance and clarity to your life. The deck includes 36 cards incorporating the seven main Chakra systems plus the Soul Star and Earth Star Chakras. These two extra Chakra systems are what make this deck unique as they offer a deeper connection and expanded awareness of each situation in your life. The deck is also very easy to use and shares an abundance of guidance and support for you in everyday life via each beautifully illustrated card and the comprehensive guidebook. Easy to use and is a tangible tool for everyday guidance complemented by the in-depth guidebook, which includes powerful layouts for your own growth as well as for others.